New Hampshire’s newest wedding and event venue, The Barn on the Pemi, sits high above the Pemigewasset River on a secluded hilltop with breathtaking mountain views off of historic Route 3 in Plymouth, New Hampshire. Opened in April 2018, this 1855 barn originating from Canterbury, New Hampshire was lovingly disassembled by The Common Man family, restored and relocated to preserve its nearly two-century history. Surrounded by wilderness, it offers the perfect mix of modern conveniences and rustic charm. 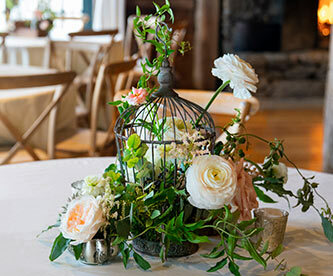 With 10,000 square feet of event space and seating for up to 300 guests, plus an expansive outdoor terrace, and a seasonal greenhouse ideal for wedding ceremonies or rehearsal dinners, The Barn is the ideal setting for a unique and memorable event. Have a look around and get to know The Barn on the Pemi. Ready to start planning? Click here to get in touch with our wedding planner today. 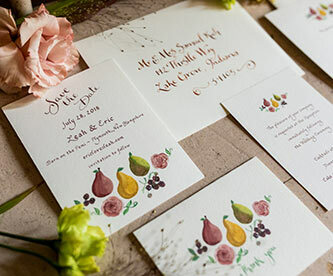 The warm, rustic backdrop can be dressed up or down to suit your style, offering versatility for romantic weddings, social gatherings, or business events. 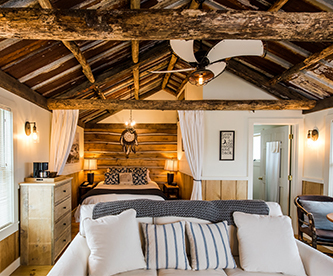 Unwind in a signature suite at The Common Man Inn & Spa with an in-room foyer, or sleep in a Tiny Cabin and enjoy quiet patios, and breathtaking views. The Barn on the Pemi configures beautifully for events as intimate as 25 and as expansive as 300. Contact us to discuss the details of your ceremony. The Barn on the Pemi is a proud member of The Common Man Family along with The Common Man Inn.